We think the UN operating in six official languages is impressive but those are a tiny fraction of the 7,102 languages in the world. 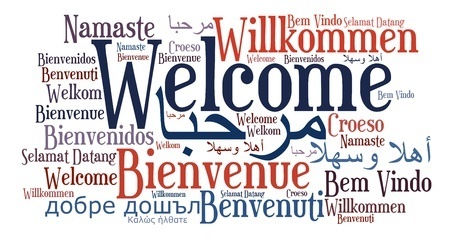 Of those thousands researchers tell us 23 are mother tongues spoken by almost 50 BILLION people. But all those people don’t live in one spot. People move, learn new languages, and yet still speak their mother tongue – sharing it with the people in their new places. 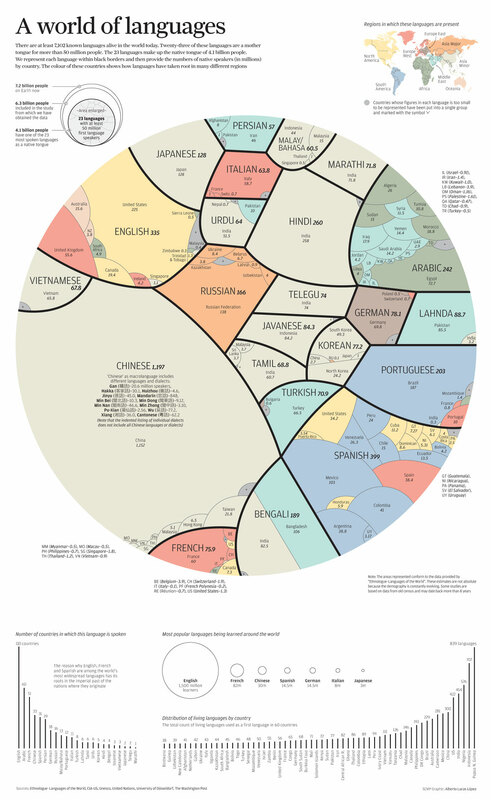 Take a look at the Infographic created by Alberto Lucas Lopez, Graphics Director at the South China Morning Post to see what the languages are and where they’re spoken.